For those wanting a larger garden we are excited to now offer “mini farms”! 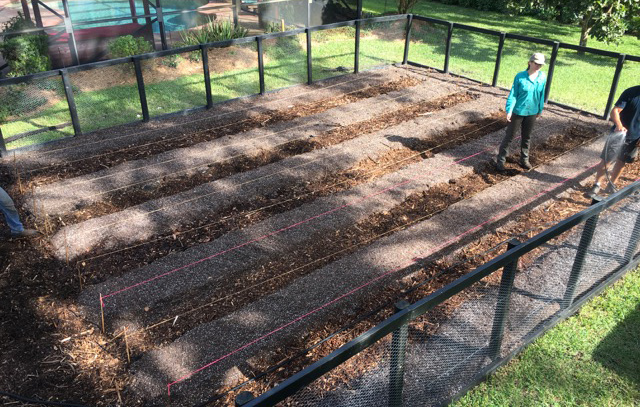 Mini farms are gardens using the traditional row layout of larger gardens without using wood to frame the edges of the beds. While we love our wood garden beds, they involve a great deal of materials and labor to create and for those on a more limited budget that would like a larger garden, they often don’t make sense. With that said, while larger gardens produce more food they are more work to maintain. Without a border on the edges of the garden there is more weeding to do to keep grass from growing in. 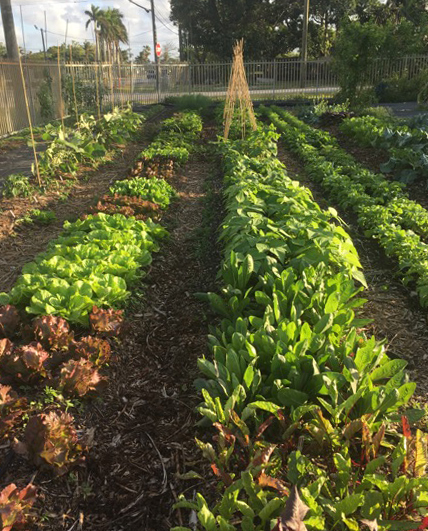 Like most edible gardens, our Mini Farms should ideally be located in areas that receive at least 6 hours of direct sunlight (the more the better), close to a water source, and ideally close to the kitchen. Consultations before installing might not be necessary. If you have multiple sunny areas to choose from but do not know which is best, we can always help decide on the day of installation or take a look prior using satellite images and pictures at no charge. For those that would like an in-person consultation first we charge $100 (Miami-Dade) or $150 (Broward) and $200 (Palm Beach County). 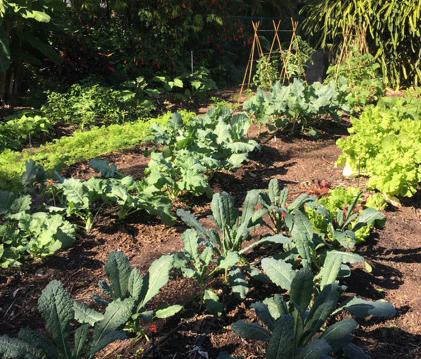 In-person consultations typically last about an hour and we discuss the potential for edible gardening in your yard. Below are the prices for our mini farms. Payment accepted in cash, check, or credit card. *Rates for customs sizes and/or shapes available if requested. Discounts possible for those who demonstrate financial need.